Ok, who doesn't love cake, right? If you're anything like me and having an insatiable sweet tooth then you are going to love this post. These cakes range from over the top gorgeous to an awesome doughnut "cake". Have a fave or see something you're dying to incorporate into your wedding ? Leave a comment and let us know! We love hearing from you! This cake is beautiful inside and out. The rose pattern frosting is almost too pretty to eat (almost) and I'm still trying to figure out how it was made with those unique vertical layers. Love! Not into cake? 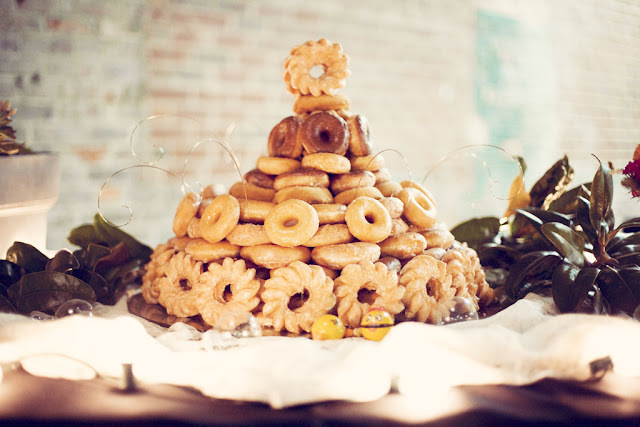 How about a doughnut "cake"? This is such a fun and affordable DIY idea that just about anyone could successfully pull off. Take it a step further and use doughnuts frosted in your wedding palatte for a pop of color. This one is for all of you Arizona natives that are looking to pay homage to your desert roots at your wedding. 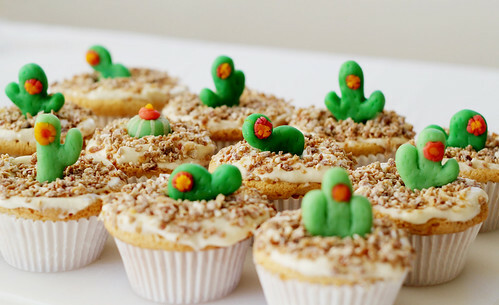 You can find complete directions for these adorable cactus cupcakes on the Radmegan blog. If you're considering making this a wedding DIY project, make sure to do a small trial run to get any bugs worked out before taking on 100's of cupcakes. 4th of July $95 Wedding Dress Sale!